Steve what is your opinion on some of these Mastered For iTunes tracks? I assume you have equipment and obviously have ears good enough to tell the difference. I don't play any, sorry. What is your favorite album of all time, and what is your favorite mastering of that album? Sorry, my love of recorded music goes back to stuff recorded in the 1890s. To pick one record in 110 years? Forget it. CrankSomeFrank, dartira, Rick Bartlett and 5 others like this. 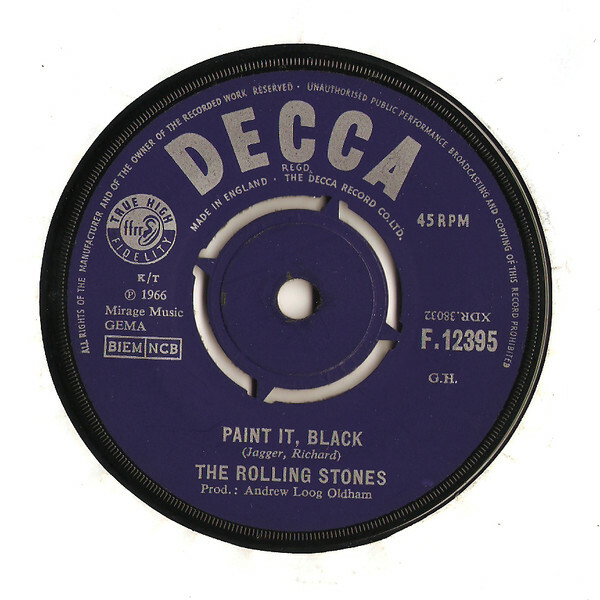 If you have a DECCA UK 45 of it, I'm sure you can get it to sound like the London. Just compression and EQ. Not magic. The US is from a copy tape on top of all that..
ParloFax, All Down The Line and Old Rusty like this. Steve, is a hot dog a sandwich? somnar, sunspot42, RSteven and 1 other person like this. 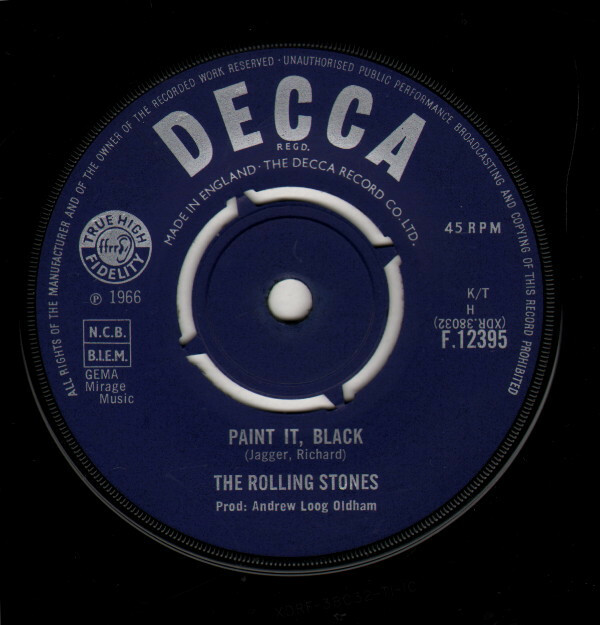 Steve does this mean that (unlike on LP) on a case by case basis you may prefer Stones London 45's over Decca ones? 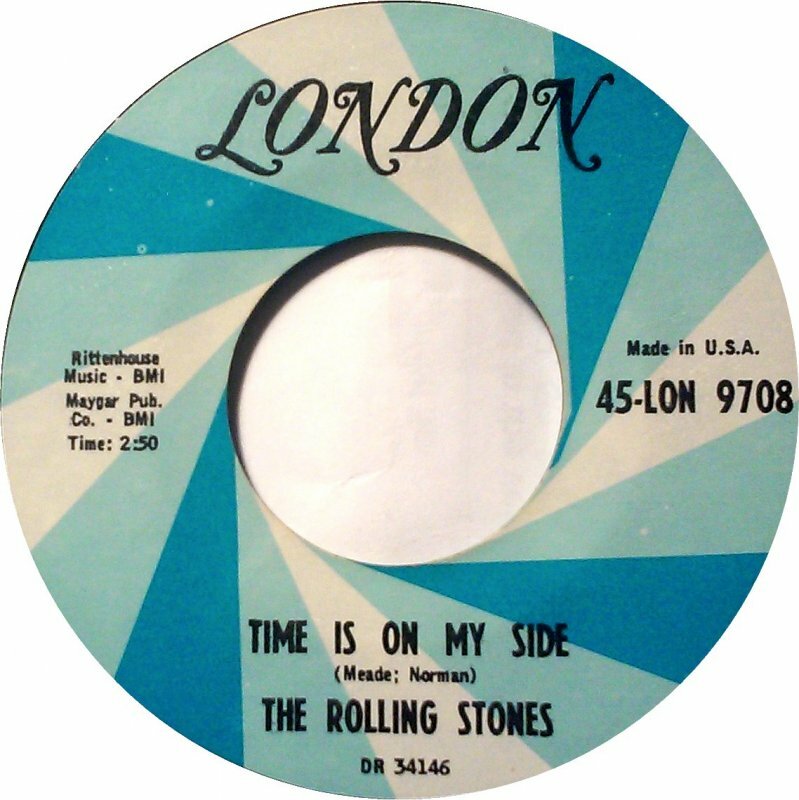 I find the mastering of a lot of the early Stones London stuff easier on the ears than some of the Decca’s. 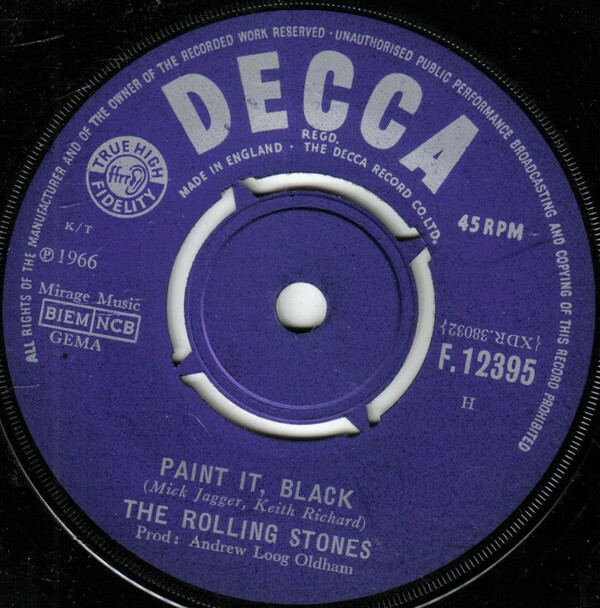 Could be, I just like the Decca label better and the history. Impossible to find here back in the day. chacha and All Down The Line like this. Impossible to find blue swirl 45's? N.b. I note their were some legit US picture sleeves actually made without the London logo (I have one of Paint it black) that iam told were possibly sent abroad to a UK fan club. I've got one of these, styrofoam at it's best complete with tacky stick on label. I love the look of the turquoise Decca label. So cool. James_S888 and All Down The Line like this. superstar19, All Down The Line and RSteven like this. Is the Decca UK 45 from the master tape? or also from a copy? I believe by 69' the master number was right side up also. ...which is also the reason why all avatars are upside down this morning? Crazy!..